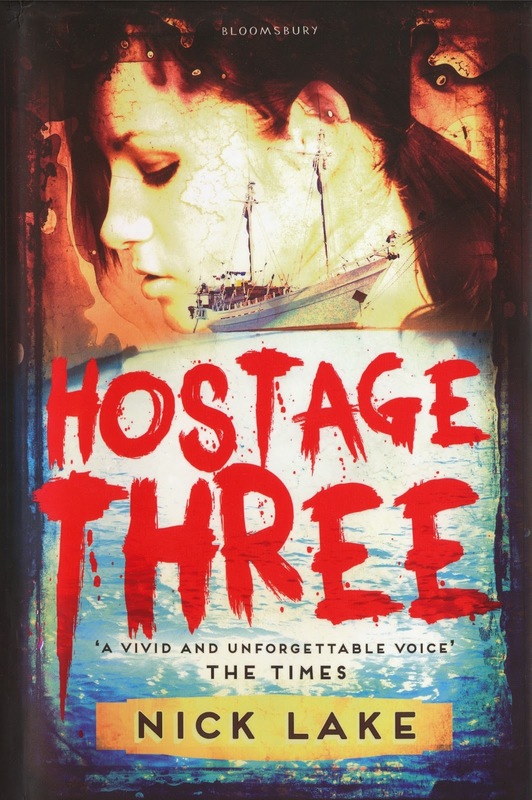 Hostage Three starts by plunging us into the middle of an adrenaline-drenched dramatic situation. The narrator, a teenage girl called Amy, is being held hostage by Somali pirates on her family's luxury yacht. 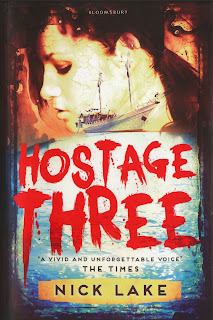 Her father is Hostage One; her stepmother Hostage Two; Amy is Hostage Three. There's a gun to her head, and she is about to be executed. It's hard to imagine a more arresting opening. This is very much what creative writing textbooks mean when they talk about starting a story in medias res. It's impossible not to be hooked. But there's a risk. Frontloading a narrative means that nothing else is likely to match the beginning for sheer intensity. And so it proves with Hostage Three – yet as it rewinds to show us the events leading up to that opening, Nick Lake's story develops not into the white-knuckle thriller ride you might predict, but into something more complex, with unexpected political intelligence and emotional power. He lays out the backstory quickly and neatly. Amy's mother has recently died; her wealthy banker father has remarried, and she's lost in a teenage rebellion that distances her from everything around her, numbing her pain. Her father's response is to buy a yacht and take his dysfunctional family on a round-the-world cruise – only to get hijacked by pirates off the coast of Somalia. Rather than the rising tension one might expect at this point, a dreamy, dislocated tone takes over, as Amy falls for one of the pirates: their translator Farouz, who is young and considerate and shares her love of music. When it becomes clear that he has feelings for her too, a Romeo and Juliet situation develops. The electricity between them is heightened by the impossibility of the situation, and nicely counter-pointed by self-aware humour. Musing on the wisdom of loving a pirate, Amy tells herself that "this is taking the whole bad boy thing to another level," and that "some people would probably say it was Stockhausen syndrome, or whatever it's called." Farouz also serves as Amy's introduction to the lives that lie behind the headline-making tales of piracy upon which this novel is based. While she comes into the story with little knowledge of Somali history, politics, economics and culture, she ends it, as we do, having learned a great deal very lightly. "It hadn't even occurred to me that these men had a story of their own, that they were anything but thieves, pure and simple," she tells us. Lake blows that idea out of the water, showing a well-researched and nuanced grasp of the situation, carefully drawing distinctions between Somalis and Somalis, Muslims and Muslims, even pirates and pirates. He doesn't glamorise them, but takes us deep into their perspective, fleshing out their reality to such an extent that by the end, we can see the Western characters through their eyes, and do not necessarily like what we see. All of which leaves him with a formidable problem: how do you end a story like this? It would be a hard-hearted reader who wouldn't want a happy ending for Amy and Farouz, but perhaps only a naïve one would believe it possible. Lake's solution – a succession of different endings – doesn't quite work for me. But the appeal of this book lies not with its narrative mechanics. It's with the characters and their voices, each possessing their own unique perspective and subjectivity. By extending this imaginative generosity even to people who would usually be villains, Hostage Three goes beyond the tropes of genre fiction, and does something rather more humane and interesting.